Gel Nail Box is a brand new MLM company, selling gel nail kits and nail accessories. It starts trading on June 24th, 2017. Read on to find out how you can get involved at the ground level of an exciting new company. As many of you will have noticed, I have been dipping my toe in the world of multi level marketing again just recently, as I still believe it is absolutely the easiest and the best marketing model for mums to start a business from home. I signed up with my own company and then set off to look at the work at home forums on Facebook , to see what has changed since I was last out there. And I came across an exciting new opportunity which I just had to share with you. 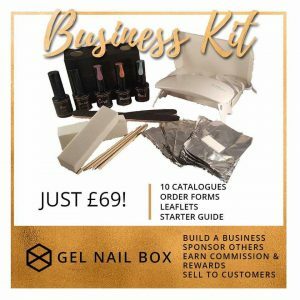 Gel Nail Box is a brand new MLM company, launching in the UK on June 24th 2017. They are currently taking pre-orders and signing up new consultants, and at the time I am writing this there are fewer than 100 consultants in the UK. 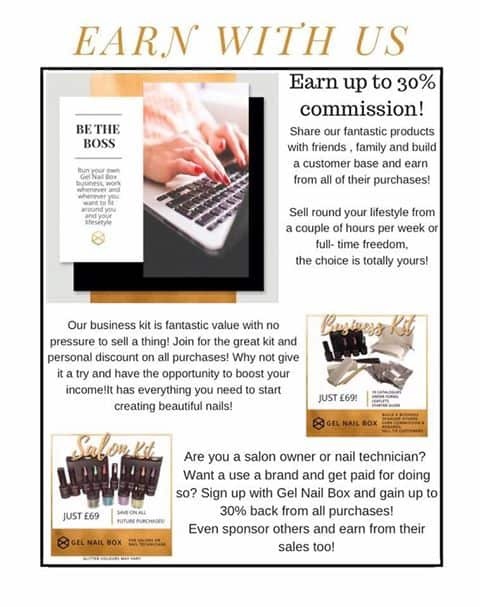 If you have the remotest interest in nail products and you fancy starting your own MLM business this is the perfect ground floor opportunity. 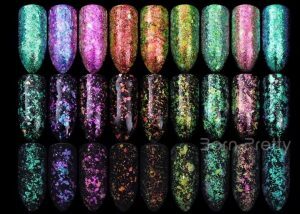 You can find out more about the company and its products on the Facebook page Gel Nail Box. 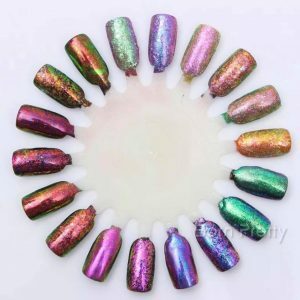 The company website is www.gelnailbox.com although there isn’t a huge amount to see there yet, apart from the sign up form, as the shop doesn’t open until Saturday. UPDATE: The shop is now open for business so please tak a look at all the lovely products on offer! 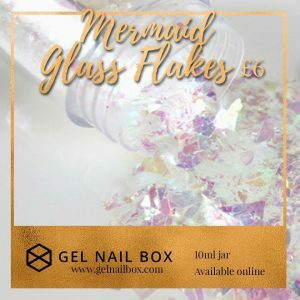 So What’s Gel Nail Box all about? There are two start up kits, each costing £69. 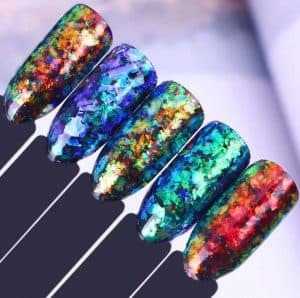 If you are a qualified nail technician, you can get the salon kit which includes lots of different colours, the primer and top coat and three different glitters. If you are not qualified then you should buy the business kit; this includes three colours plus the primer and top coat, but also includes all the files, and accessories that you need to do your gel nails including a curing lamp. So there you have it – a brand new opportunity, just waiting for people to snap it up and get out there prospecting and recruiting with a totally blank slate. The world is your oyster. 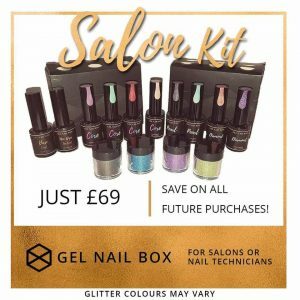 If you are interested in joining this brand new company (or if you just want to play about with a fabulous new gel nails kit) then Sign up with Gel Nail Box now! I’m really looking forward to getting started on my own nails – and my daughter will love me forever…. I WANT TO JOIN TO PRAMOTE YOUR BUSINESS PLAN. May this GEL NAIL BOX be my business opportunity ?